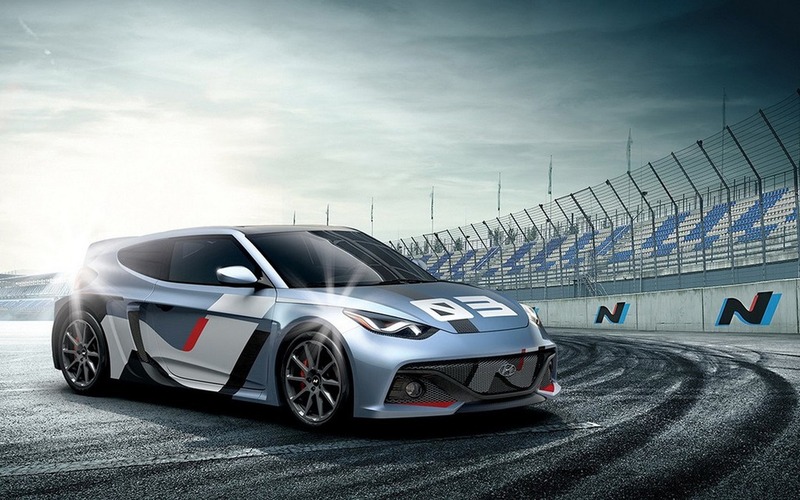 The line of RM concept cars from Hyundai started out as a pretty interesting idea: the Korean manufacturer takes its front-wheel-drive, front-engined Veloster coupe and transforms it into a mid-engined sports car propelled by its rear wheels. Unlike the RM14 and RM15, the RM16 will wear the N badge, meaning Hyundai wants to tie this vehicle with its new performance sub-brand. Also, instead of using the stock Veloster’s looks like its two predecessors, the RM16 N has a different style. If features a new front end, which may or may not end up on the next Veloster. The engine is a turbocharged 2.0-litre developing 295 horsepower, all of which are sent to the rear wheels through a six-speed manual. The brand’s engineers integrated an electric turbocharger to this powertrain, which greatly helps reduce turbo lag. The rest of the car features carbon fibre panels, an adjustable rear wing and seats that can increase their bolsters in a curve. If we ever get to drive this RM16 N, we will be sure to tell you all about it!